We at Duradiamond Healthcare are aware that keeping our staff members hydrated will aid them to perform at their very best throughout the work day. As a result, we have decided to support AquAid. These funds are used to build ‘Elephant Pumps’ - a modified version of an age old Chinese rope pulley system. 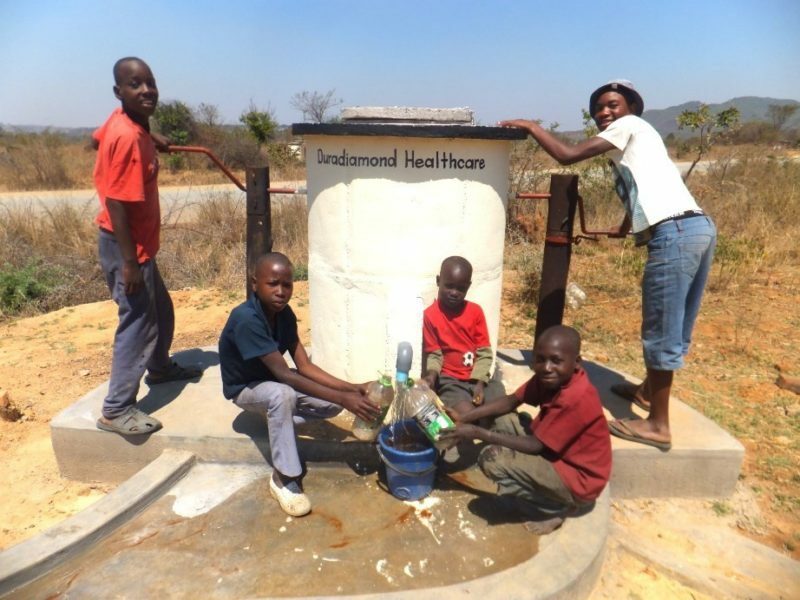 We received confirmation in September 2018 that our first water pump and well has now been built on our behalf in Zimbabwe and in use. It is in Manicaland in the east of the country in the area near the Chimanimani mountains. We are proud that this pump will provide much needed source of clean and fresh drinking water for many. "We are proud to announce our support for AquAid and the very worthwhile work they are doing with communities across Africa. "This initiative also helps us fulfil our commitment to the health and wellbeing of the Duradiamond teams, so it's an ideal partnership."